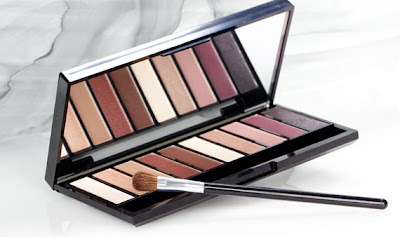 There's Always Time for Lipstick: Haute Look Deal of the Day - LORAC Limited Edition Femme Fatale Eye Shadow Palette for $14! Haute Look Deal of the Day - LORAC Limited Edition Femme Fatale Eye Shadow Palette for $14! Today, Haute Look's Deal of the Day is a real steal. You can get the new LORAC Limited Edition Femme Fatale Eye Shadow Palette for just $14 (plus shipping)! It's listed as usually being $37, but I believe that at least right now it's exclusive to Haute Look. The palette contains 10 neutral shadows, ranging from light to dark. And the really good news is that there's 4 matte shades, so you can create some nice balanced looks. As always with Haute Look, you need to be a member, but membership is free so there's really no reason not to sign up. You can do it here. I actually bought two palettes - one for myself and one for a giveaway, so keep an eye out for that.